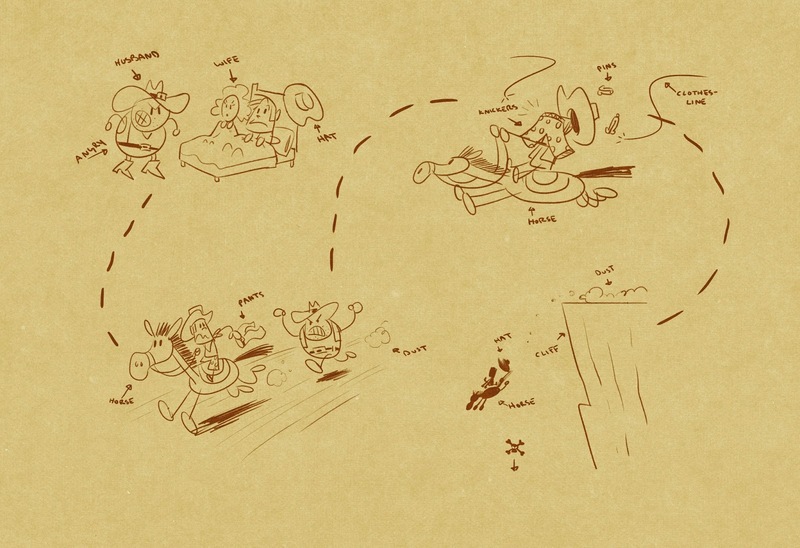 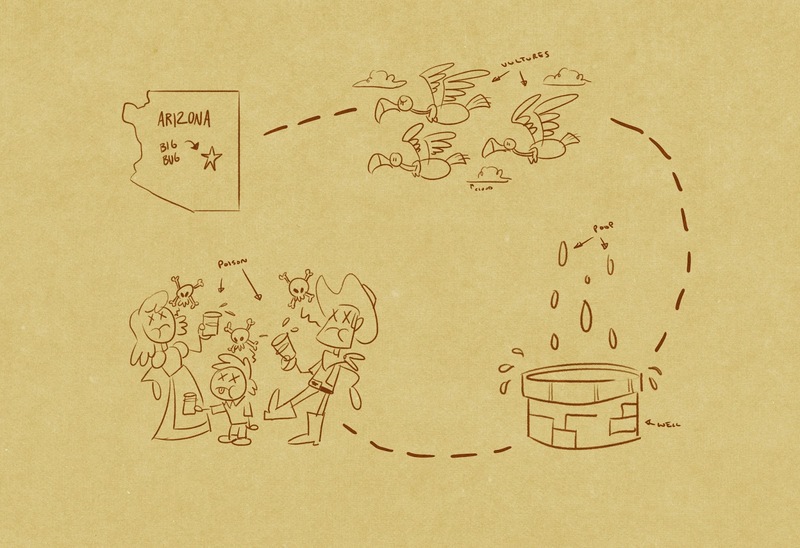 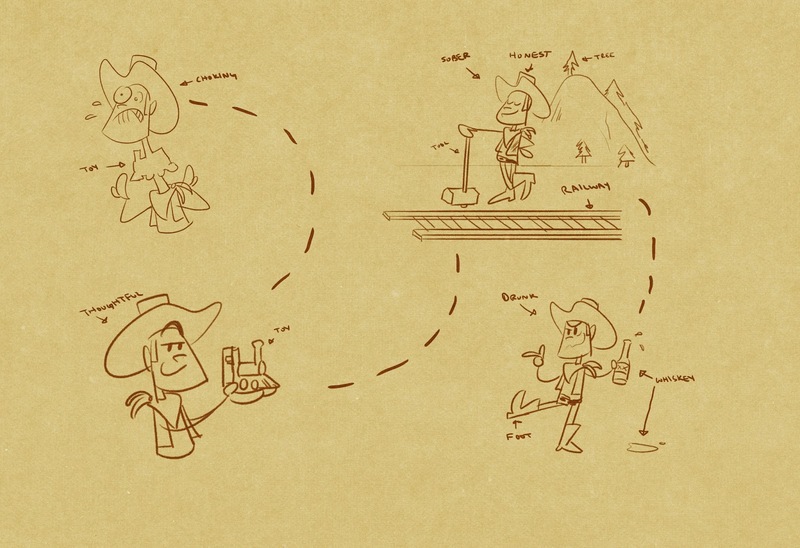 A Million Ways to Die in the West DVD Illustrations – Matt Downs Draws! 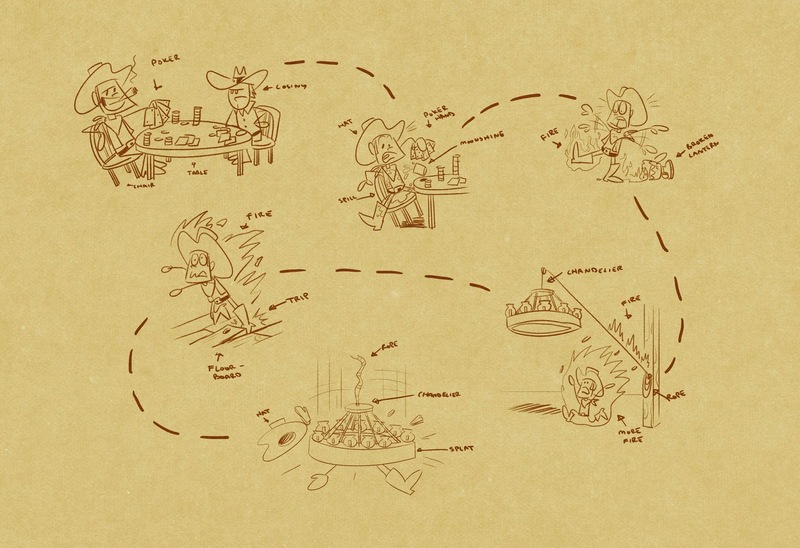 Last summer I had the opportunity to do a freelance project that involved drawing some cartoons and illustrations for Seth McFarline’s latest comedy, A Million Ways to Die in the West. 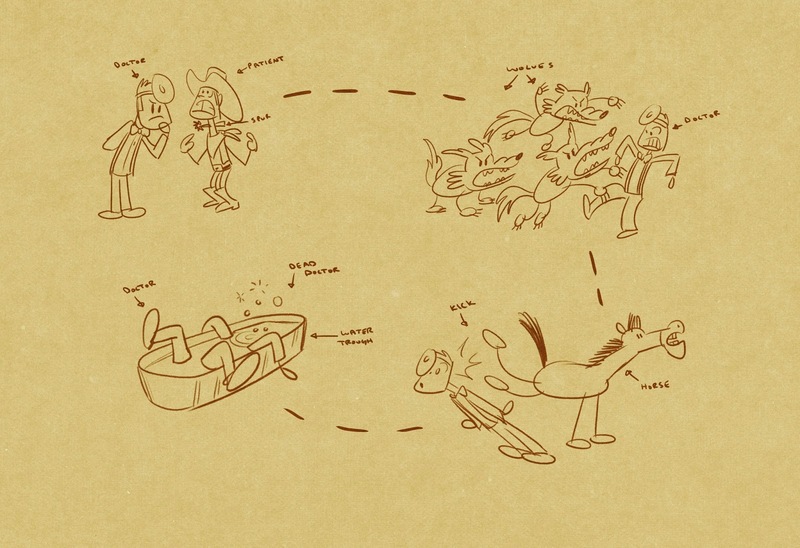 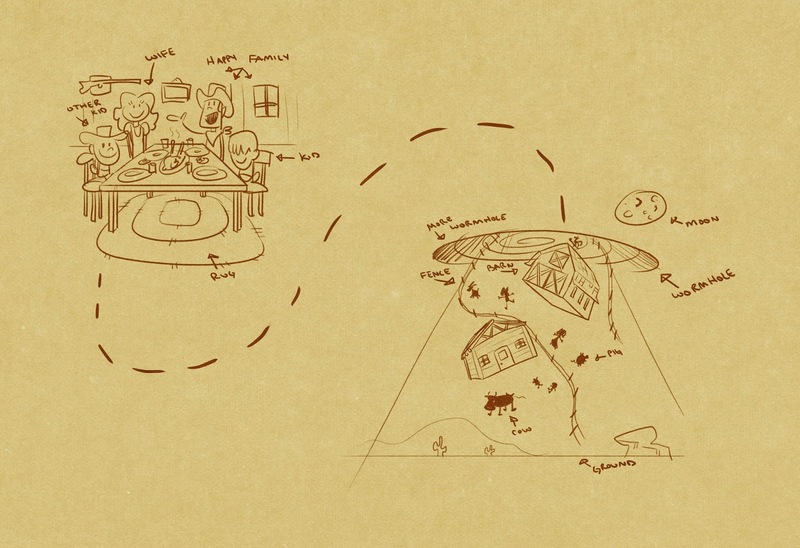 The artwork was going to be part of the the initial DVD special features, having a narrator (voiced by Seth himself?) 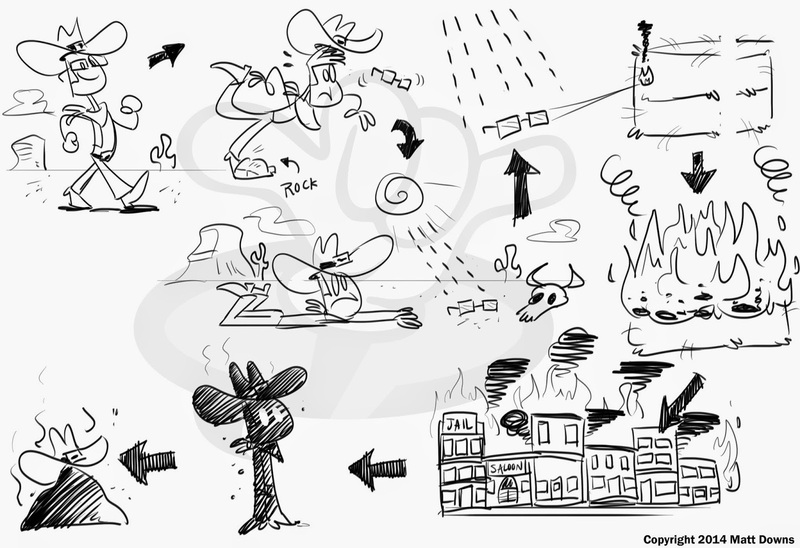 recall horrible, crazy, far-fetched, and overall silly ways that people could have died in the old west. 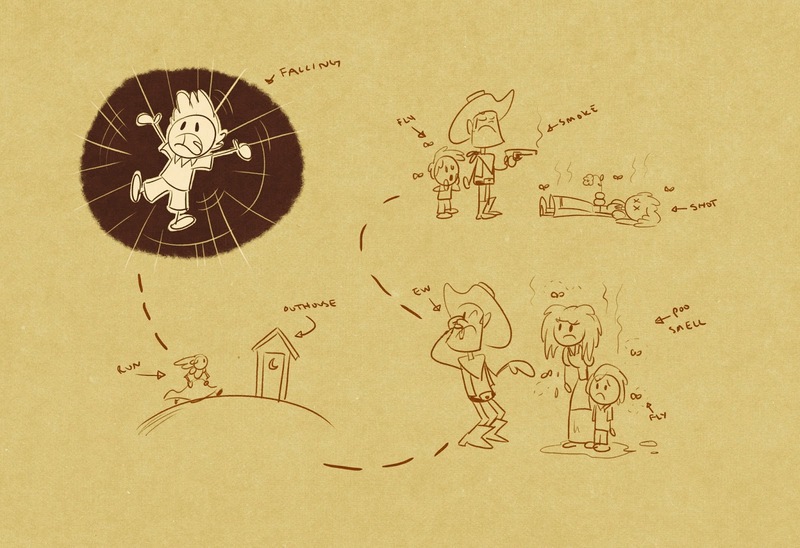 They never ended up including this feature to the discs for the release, but it was still a lot of fun to do. 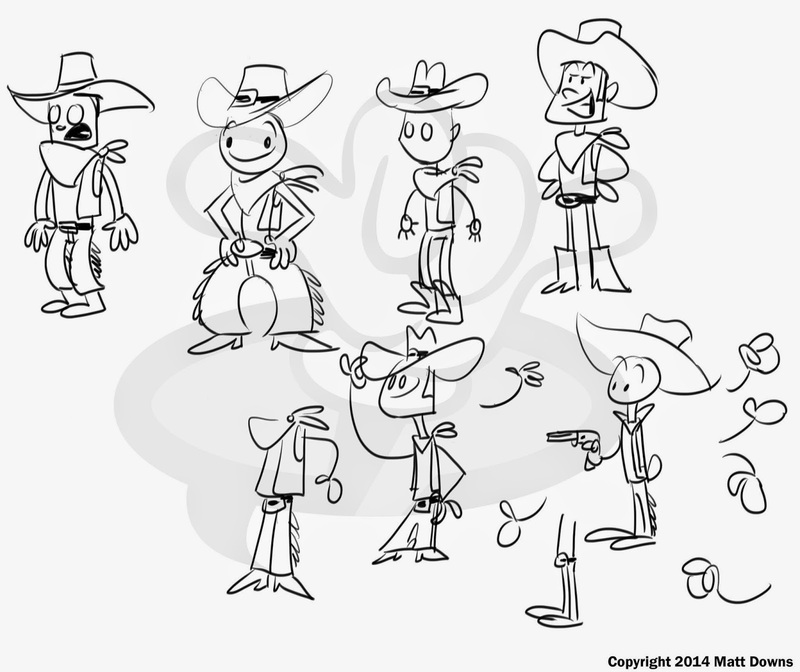 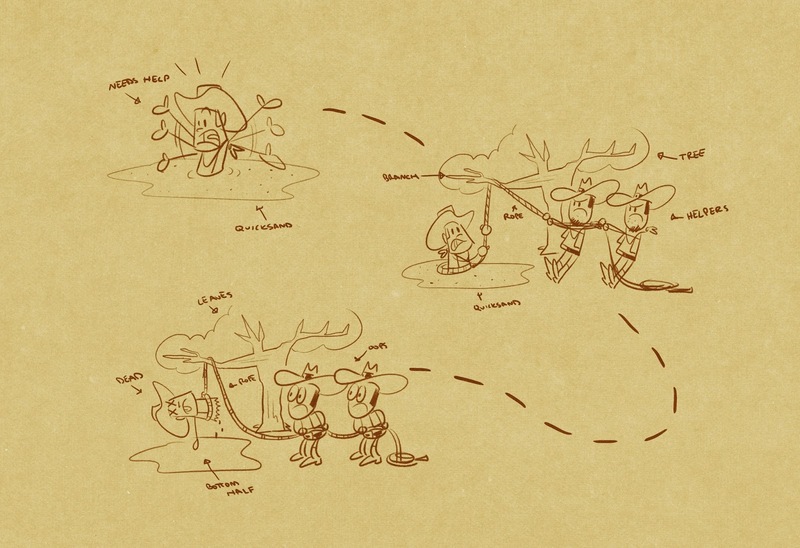 These are the first drawings that were used to nail down the “stick figure” cowboy who would be the victim to the stories. 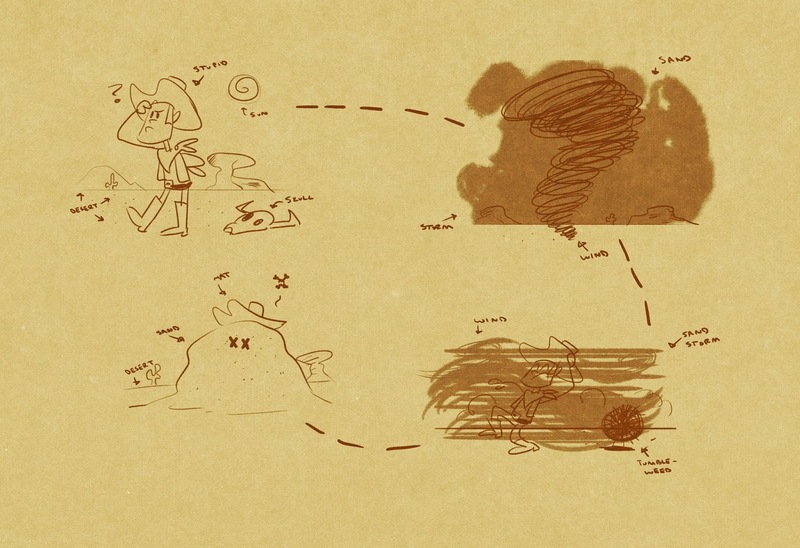 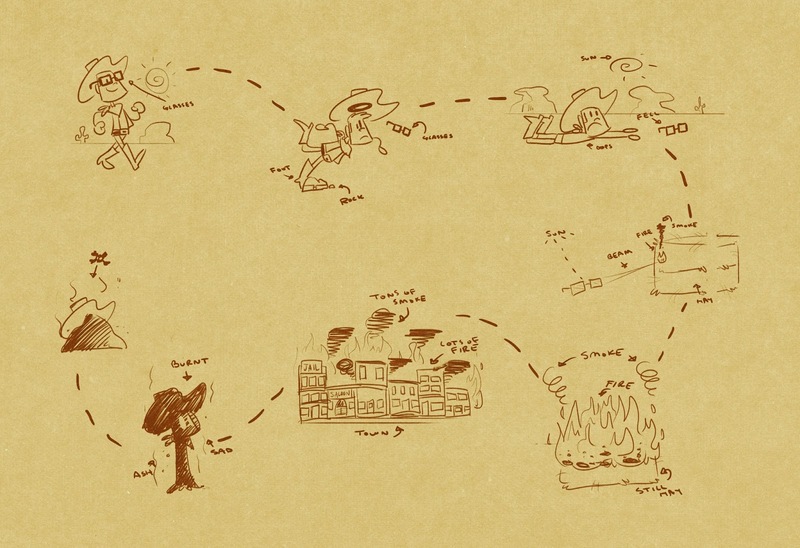 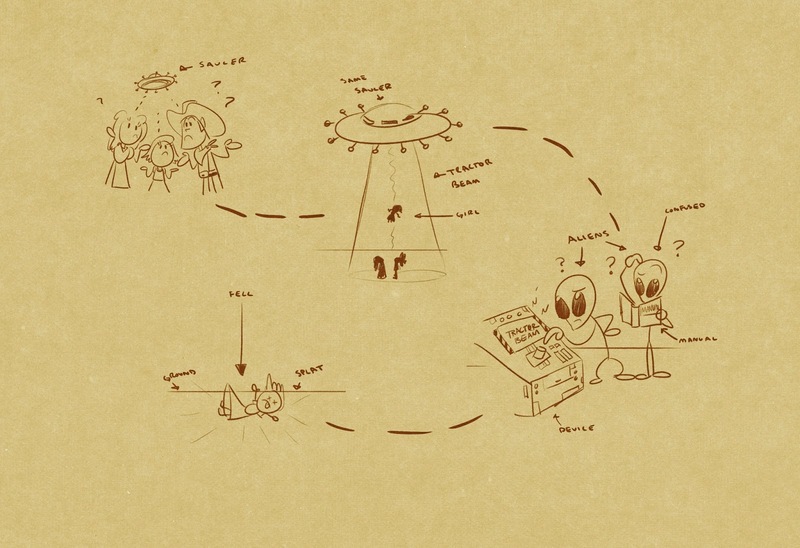 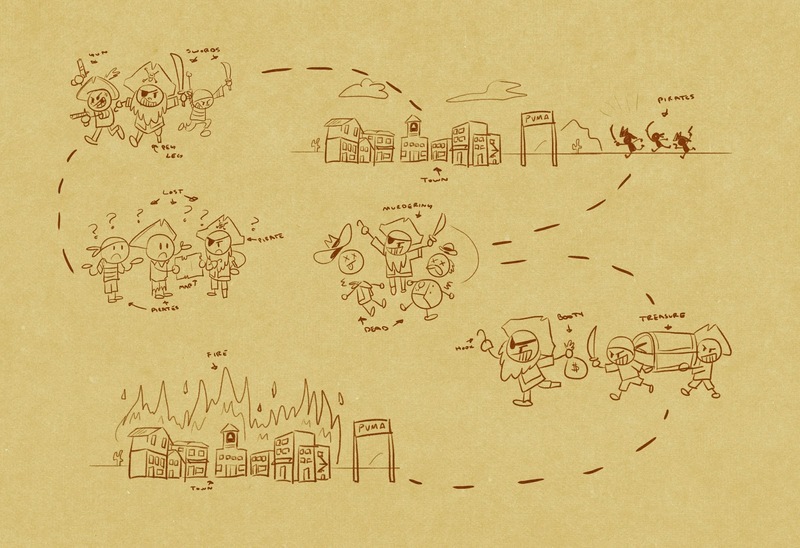 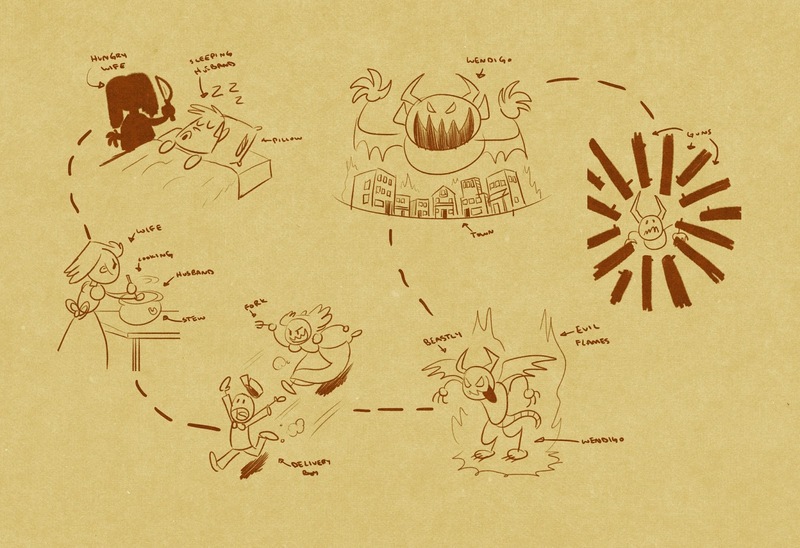 The shorts would scroll through the drawings like a path of a map while the narration tells the details of the character’s fate.